Charting the introduction of plants to our gardens. 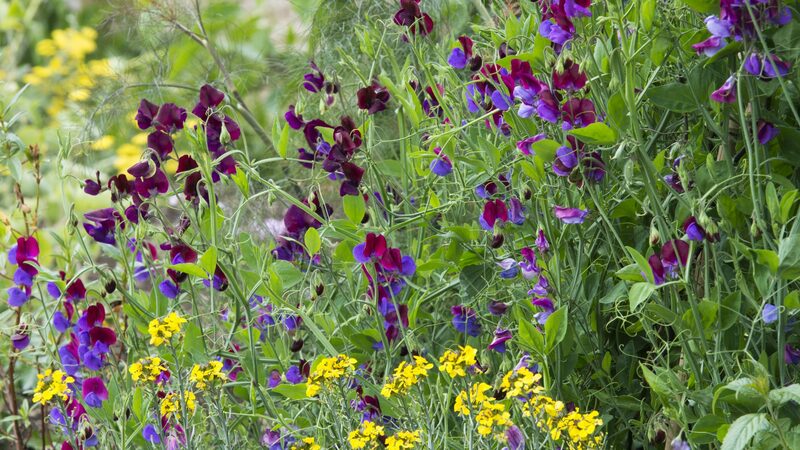 For thousands of years, people have introduced plants to the British Isles from all over the globe for interest, for pleasure or for economic gain, and our gardens have been greatly enriched by this diversity as a result. The Chronological Border is a linear planting which puts these plant introductions into a time-frame. The story begins at the eastern end of the border with plants known to have been introduced to Britain from before Roman times up to 1550, including the familiar honesty, Lunaria annua, and the dye plant woad, Isatis tinctoria. From this point the border is divided into twenty-year intervals up to the present day, with each showing a selection of plants introduced during that period in history. 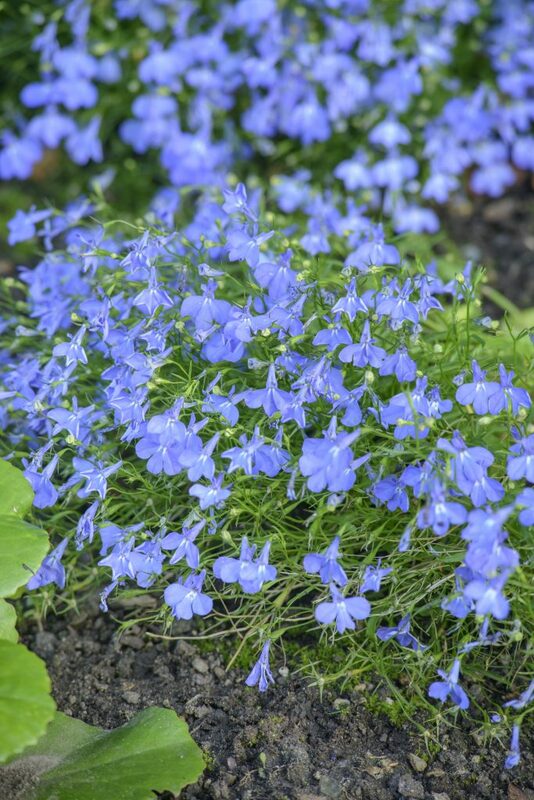 The plantings include familiar garden plants such as annual Lobelia erinus, which was introduced to our gardens from South Africa between 1751 and 1770, and Alchemilla mollis (lady’s mantle), which was first collected and grown in the period 1871 – 1890. Keen gardeners can study the plantings here and not only piece together the story of our garden plants and their origins, but also a broader social, political and economic history. The exploration of the Americas in the sixteenth and seventeenth century is reflected in the number of plants from the Americas which are grown in this section, including Solanum tuberosum, or potato, Nicotiana tabacum (tobacco), and Phaseolus coccineus (runner bean). Later exploration of Asia by nineteenth and twentieth century plant hunters is charted by the Chinese Hypericum lancasteri, Ceratostigma willmottianum (Chinese plumbago) and Miscanthus sinensis from east Asia. 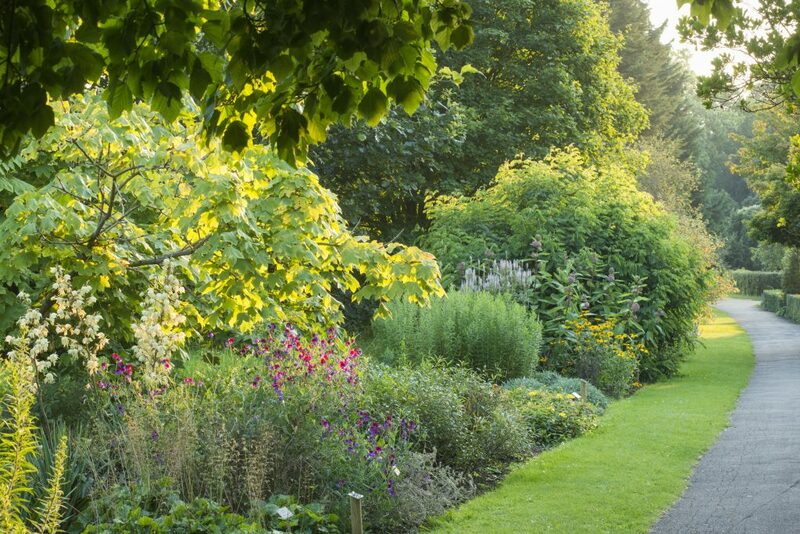 The border brings to life a rich horticultural history, and includes many plants familiar in our gardens today.